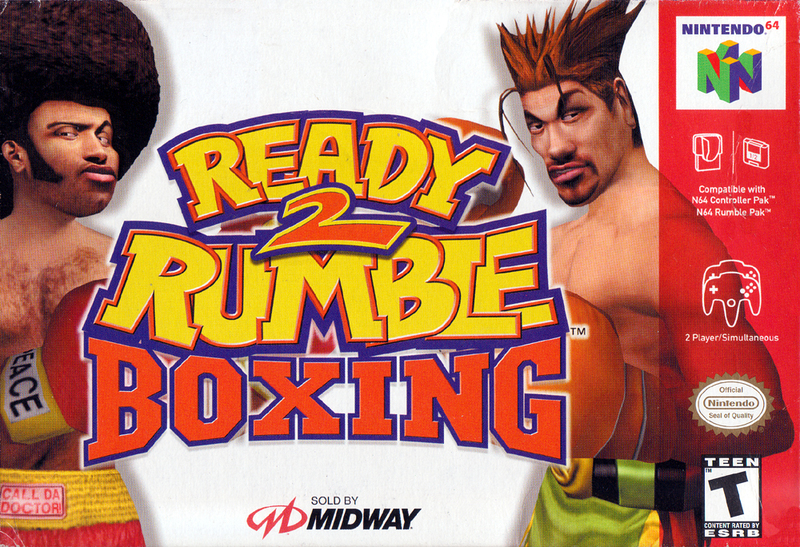 Краткое описание: Ready 2 Rumble Boxing is a boxing game for the Dreamcast, PlayStation, Game Boy Color, and Nintendo 64 and it was released in 1999 by Midway. The success of the Dreamcast version led to it becoming one of the few Sega All Stars titles. Like Nintendo's Punch-Out!! series it features many characters with colorful personalities (i.e. Afro Thunder, Boris "The Bear" Knokimov, etc. ); however, unlike the Punch-Out!! series, Ready 2 Rumble Boxing is in 3D, thus allowing for more control over your character in the ring, and also enables the players to choose whichever fighters they want. Throughout the fights in the game, there is a special RUMBLE meter which fills up, one letter at a time, until the word "RUMBLE" is spelled at the bottom of the screen. Letters can be obtained by successfully landing hard blows or taunting the opponent. Once the meter is full, the player can power himself up, enabling access to a special move called "Rumble Flurry", which might as well instantly knock the opposite player out cold. One unique graphic feature of the game is the gradual bruises gained by players as the fight progresses (like hematomas and swellings), present in all fifth-generation versions. 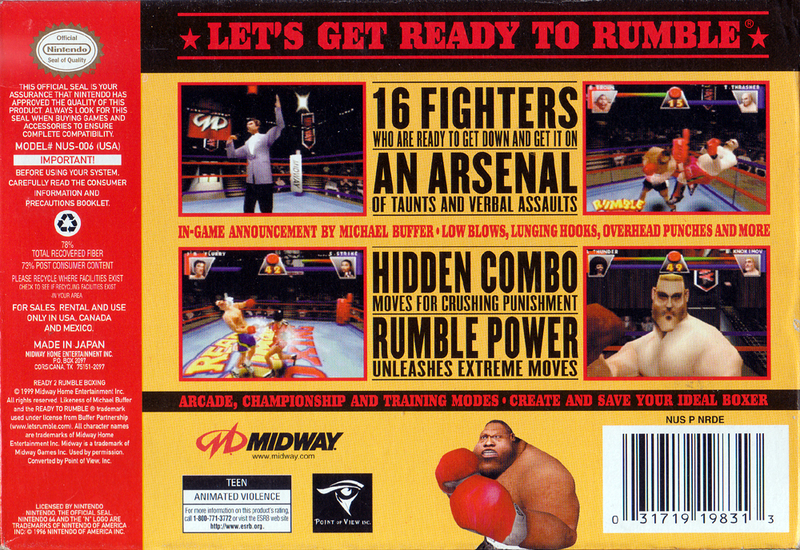 While this is not necessarily a new feature to games (it had been implemented before in SNK's 1992 game Art of Fighting), it garnered much appraisal from reviewers, because of the added fun factor this element supply to the game Ready 2 Rumble Boxing is a boxing game for the Dreamcast, PlayStation, Game Boy Color, and Nintendo 64 and it was released in 1999 by Midway. The success of the Dreamcast version led to it becoming one of the few Sega All Stars titles.